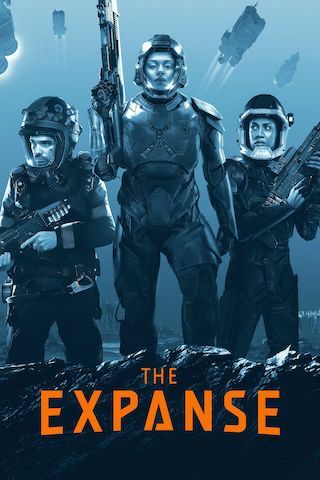 The Expanse is a 60 minute scripted mystery television series, which kicked off on December 14, 2015, on Amazon Prime and is broadcast every Wednesday at . The show is currently in its 4th season. Amazon Prime has officially confirmed the renewal of The Expanse for Season 5. The exact release date is yet to be announced so far. Sign up to track it down. A thriller set two hundred years in the future, The Expanse follows the case of a missing young woman who brings a hardened detective and a rogue ship's captain together in a race across the solar system to expose the greatest conspiracy in human history. Season 3 of SYFY's THE EXPANSE premiered on Wednesday, April 11 at 9/8c. Picking up immediately following the emotional and suspenseful second season finale, the 13-episode third season finds Earth, Mars and The Belt at war, with each competing entity vying for control. Now, more than ever, the mission to unlock the secret of the protomolecule reaches an all-time high and every decision made could jeopardize the survival of the solar system.